Just a short drive from the freeways and congestion of Los Angeles you’ll find barren hills and mountains. During the rainy season they suddenly spring to life with luxuriant-looking greenery. But they quickly revert to a parched brown. The green that looked so promising turns into lifeless scrub, good for nothing but feeding California’s wildfires as tinder. That’s a perfect metaphor for the way some people respond to the gospel. They are the polar opposite of the hard-hearted hearers we discussed last time. 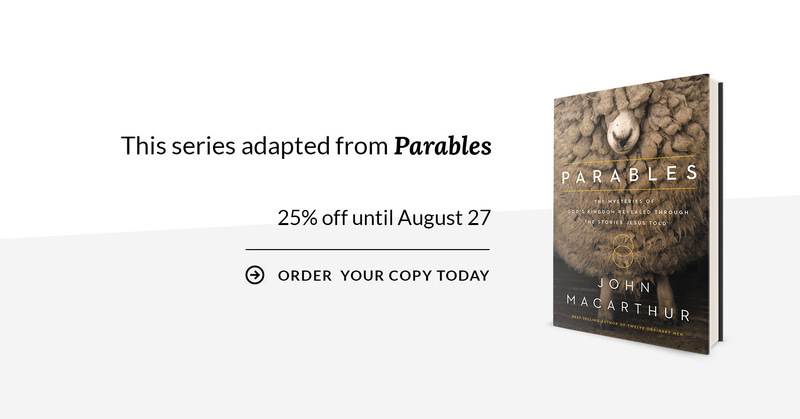 They are the “rocky soil” in Christ’s original parable. The soil spread thinly over a layer of rock illustrates a shallow-hearted person who responds immediately but only superficially. Without deep roots, vegetation cannot live long in a dry climate. It grows green and leafy quickly, but dies just as quickly, before reaching fruit-bearing maturity. Such growth is useless for any profitable purpose. Psalm 129:6 similarly compares the wicked to “grass upon the housetops, which withers before it grows up.” In the thin layer of dust that accumulates on a flat roof, grass or weeds may sprout and even look lush for a short season, but it is in a location that cannot sustain long-term life. It is doomed as soon as it sprouts—and even the dead straw left in the end is useless for any good purpose. The psalm goes on to say that “the reaper does not fill his hand [with it], nor he who binds sheaves, his arms” (Psalm 129:7, NKJV). Rocky soil hearers seem receptive. They show a keen interest. Jesus says they “receive the word with joy” (Luke 8:13). They are exhilarated by it. But all that enthusiasm obscures the fact that there is no root. They “believe for a while.” That’s an important fact to acknowledge: intellectually, at least, they are receptive, affirmative—even quite enthusiastic. There is a kind of temporary credence that is not authentic faith, precisely because it is superficial—shallow, rootless, totally at the mercy of the hostile elements that are sure to test its viability. It’s not a question of if but when such “faith” will fail. It usually (but not always) happens sooner rather than later. Each person who responds positively to the Word of God will face a “time of temptation.” The Greek word translated “temptation” in Luke 8:13 can also refer to a trial or a test—and that is clearly the sense here. The new disciple’s faith will eventually be put to the test under the threat of persecution, by one of life’s calamities, or by the sheer difficulty of maintaining the pretense of deep, abiding belief. If it’s superficial, rootless, heartless faith, no matter how enthusiastic the response may have seemed in the beginning, that person will “fall away”—meaning she will abandon the faith completely. Jesus said in John 8:31, “If you continue in My word, then you are truly disciples of Mine.” Hebrews 3:14 says, “For we have become partakers of Christ, if we hold fast the beginning of our assurance firm until the end.” The apostle Paul said you can know you are truly reconciled to God “if indeed you continue in the faith firmly established and steadfast, and not moved away from the hope of the gospel that you have heard” (Colossians 1:23). Those whose faith is merely temporary hear the gospel and respond, quickly and superficially. Perhaps they have some selfish motive (thinking Jesus will fix their worldly problems or make life easy for them). They don’t truly count the cost. For a while they bask in some emotion—a feeling of relief, exhilaration, euphoria, or whatever. There are tears of joy, embraces, high fives, and a lot of activity—at first. That tends to convince other believers that this is a true conversion, well rooted in genuine conviction. We might even be inclined to think that’s a better response than the quiet restraint of some genuine believer who is so deeply convicted about his sin and unworthiness that all he feels is a profound sense of meekness and quiet gratitude. An outburst of joy is not the distinguishing feature of an authentic conversion. Joy is a fine and appropriate response, of course. All heaven is filled with rejoicing when a soul is converted. “There will be more joy in heaven over one sinner who repents than over ninety-nine righteous persons who need no repentance” (Luke 15:7). But as Jesus makes clear in our parable, great joy sometimes accompanies false conversion. Neither hyperactive joy nor grateful quietude proves anything one way or another about whether someone’s profession of faith is an expression of superficial, temporary belief or deep and lasting conviction. The person’s fruit (or lack of it) will reveal that. “The tree is known by its fruit” (Matthew 12:33). It doesn’t ultimately matter how much enthusiasm the shallow hearer shows in that initial response to the Word of God: if it’s a shallow conviction with no real root, that person will eventually fall away. And when that happens, it proves definitively that in spite of all that apparent joy and zeal, the person never truly believed in the first place. “They went out from us, but they were not really of us; for if they had been of us, they would have remained with us; but they went out, so that it would be shown that they all are not of us” (1 John 2:19).